A bright smile looks beautiful and attractive. It is every person's desire to own a bright and natural looking smile. Several factors affect the color of your teeth. The thickness of the enamel, your food habits and fluoride intake can decide how bright your teeth are. Tooth whitening is a cosmetic solution that is recommended when your teeth are stained and dull. Speak to our dentist in Ramsey, New Jersey, to know the cause of teeth staining and how our Zoom Tooth Whitening can brighten your smile. The teeth and gums should be free from infection in order to undergo any teeth whitening procedure. The first and foremost step taken by our team is to examine the oral cavity. We measure the brightness of the teeth using a shade scale. We take pictures of your teeth. The treatment starts with the application of a protective gel to the gums and Zoom hydrogen peroxide gel to the teeth. 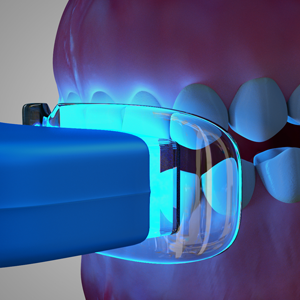 A special Zoom light is shined over teeth for 15 minutes. The hydrogen peroxide undergoes oxidation and clears stains from enamel layer. This process is repeated three times. Tooth whitening takes less than an hour and patients can see the results immediately after the treatment. Sometimes a professional tooth cleaning may be recommended before the Zoom tooth whitening. If you have a question regarding our teeth whitening procedures, make an appointment and meet our cosmetic dentist, Dr. Choudhary. Our team can help you make an informed decision.